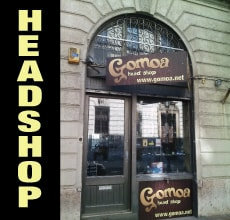 How do I place an order through Gomoa Webshop? You place an order through Gomoa Webshop by registering and adding the items you wish to purchase to your shopping cart. When ready, click on your shopping cart and proceed to "CHECKOUT". If I order several products does the shipping cost change? No, if you order more than one thing from Gomoa Webshop the shipping costs will not increase. The only factor that affects shipping costs is weight. The heavier the package, the bigger the shipping costs. .
Can I order from Gomoa Webshop without registering? No. You must be registered to place an order in Gomoa Webshop. 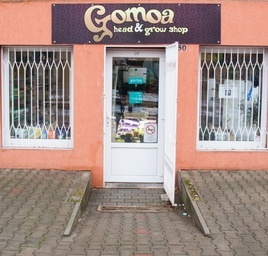 Gomoa Webshop accepts payments by bank transfer or debit/credit card. Accepted debit/credit cards are VISA and Mastercard. You also can pay your order with cash on delivery. . 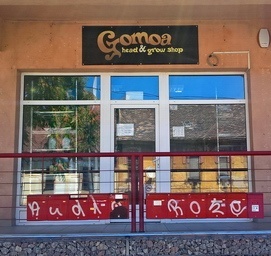 The total of your card will be debited when your order has been confirmed..
Can I order items and pay online but pick it up in one of the Gomoa Shops? No, orders placed in Gomoa Webshop can only be delivered. To purchase in any of our shops you do not need to order first. .
From where is the shipping sent? All products are sent from our logistical base that is situated in Hungary.. Which transporter will transport my order? Is it possible to send my order to a third person or to a different address than the invoicing address? Yes, the orders are sent to the person and to the address that are on the registered shipping information. You can have different addresses as shipping address and as invoicing address. To which areas do you ship? We ship products to: every European Union country. Deliveries will be done during workdays from Monday to Friday. If the order is made before 12 PM it will be handled on the same day. For delivery costs see our Terms and Conditions..
Can I modify my shipping address after my order has been made?? We will do our best to deliver your products as soon as possible. Because of this, we cannot change the shipping address once the order has been made. Our team prepares your order as soon as they receive it, but if you no longer need the products you have ordered, you have to call our customer support on: 0036-20-298-82-50. If you change your mind and refuse the parcel at the time of delivery it will be returned to us. Because of that extra charge of the return, you can purchase from us only by pre-payment. (Bank transfer or credit card). How can I know that my order has been sent? When we start to process your first order, we will call you to verify your phone number. Any other orders in the future will be sent automatically. When your order has been sent from our office, we will inform you by email and SMS. You can track your parcel too. This number will let you know the status of your order in GLS. You can find your tracking number in the e-mail we send when your order has been sent from our office. What happens if Im not at the delivery address when GLS comes? If you are absent when GLS comes, GLS will call you on the phone number you added to your order. You can arrange a new delivery time. If you do not receive the package, it willreturn to us. Because of that extra charge of the return, next time you can purchase from us only by pre-payment. (Bank transfer or credit card). Can I order items to be delivered outside the European Union? No, orders placed in Gomoa Webshop can only be delivered to an address within the European Union. A valid address is required for all orders. An item in my order is faulty and/or damaged, what do I do? A return/refund must be cleared by Webshop Customer Service. If you find that an item is faulty and/or damaged on delivery then you are entitled to an exchange to a new item (of the same product), or a full refund of the faulty item(-s) incl. the delivery charges for returning the item(-s) to Gomoa Webshop. Please read the "Gomoa Webshop return/refund policy" for instructions. Who pays for sending items back to Gomoa Webshop? If you find your order to be damaged, faulty or has been delivered in error or if you decide to return your item(s) for a refund within 14 businness days then you are responsible for the return cost to Gomoa Webshop. Please read the "Gomoa Webshop return/refund policy" for instructions. No, Gomoa Webshop does not sell nor share your information with anyone outside the Gomoa Group. Is my information kept safely? Yes, Gomoa Webshop takes all reasonable and practicable steps to store your information in a safe and secure environment. Do you have shops where I can buy your products personally? Yes, we have three retail shops in Hungary. They are located in Pécs, Szeged and Budapest. For further information, please read our "Contact Us" menu. I have a question that isnt answered here, what do I do?